An Igbosere High Court in Lagos on Wednesday heard that suspected billionaire kidnap kingpin Chukwudumeme Onwuamadike, popularly known as Evans, made his confessional statement to the police under duress. 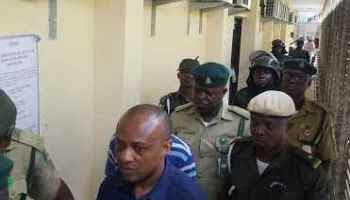 Evans told Justice Adedayo Akintoye that he signed papers given to him by the police so as not to be tortured to death. He insisted that members of the Inspector-General of Police (IGP) Intelligence Response Team (IRT), which arrested him in 2017, intimidated him by executing suspected criminals in his presence, before assaulting him. 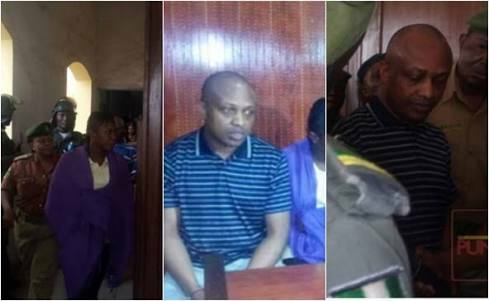 Evans is facing two separate charges, bordering on conspiracy to kidnap, kidnapping and attempted murder, before Justice Akintoye. In the first charge, he is standing trial alongside Joseph Emeka, Ugochukwu Nwachukwu and Victor Aduba. In the second charge, he is joined on trial with Joseph Emeka, Linus Okpara and Victor Aduba. At the resumption of his trial on Thursday, Evans alleged the IGP IRT tortured suspects to death by suffocating them with plastic bags and threatened to do same to him if he failed to cooperate with them. He claimed that some sheets of papers were brought for him to sign, adding some of the papers were blank while others had written content. Evans said: “When I asked what I was to sign the police officers slapped my head and even quenched a cigarette on my hand. “The officers were beating me and told me that if anything happened to me, no one would know. They hit my head and blood was gushing, the scars are still on my head. He also said that the contents of the papers he signed were not read to him and there was no video recording during the statement taking process. He testified during a trial within a trial conducted to ascertain whether his statement admissible or not. He was led in evidence by his counsel, Mr O. I. Ajanaku. The defendant was afterwards cross-examined by Lagos State counsel, Dr Jide Martins. Justice Akintoye adjourned further hearing till January 30.